Auckland, New Zealand & Norwood, MA (April 23, 2018) – Vista Entertainment Solutions (‘Vista Cinema’), the leading provider of cinema management software for global cinema exhibition and the founding company of Vista Group International (NZX & ASX: VGL), has announced an expanded partnership with National Amusements’ Showcase Cinemas. Vista is already the software provider to Showcase Cinemas UK and the addition of Showcase Cinemas USA including Showcase Superlux in Chestnut Hill, MA, represents very significant growth of Vista’s North American market foothold. The roll-out of Vista Cinema software across National Amusements’ USA cinemas – comprising 392 screens in total – is now complete. The Vista Cinema software installation includes Vista’s Food & Beverage across all National Amusements’ locations. Built specifically for the cinema exhibition industry, Vista F&B integrates with Vista’s full product suite – from the lobby bar to self-service counter pick-up to in-seat dining. Vista’s mobile application is live at all locations, so guests can book their night at the movies right from their phone. Complete with the latest cinema experience innovations, Vista Mobile aims to create a frictionless journey for guests from booking to the theatre itself. The rollout included working through some enhancements to align the mobile app with National Amusements’ cinema setup. The Vista Apps and National Amusements teams collaborated closely to deliver an app that fulfils their high standards for guest experience and continue to monitor the app’s progress via customer feedback. The response from guests so far has been extremely positive. Vista partnered closely with National Amusements to launch the First Level helpdesk, which provides tier one support. Managers and corporate staff have one dedicated phone line to call for help, seven days a week. This enhanced offering enables a deeper relationship between Vista and National Amusements – knowing their business and technical environment in and out and providing an elevated level of care as a result. National Amusements has been a client of Vista Group company Movio, the global leader in marketing data analytics for the film industry, since 2013. National Amusements’ marketing teams already use Movio Cinema in the USA and UK, and are in the midst of integrating Movio’s platform in National Amusement’s UCI Brazil circuit. In the US, Movio also provides ongoing consulting, partnering with National Amusement’s marketing team to provide strategic advice and operational assistance to maximize the success of its Starpass loyalty program. The National Amusements marketing team is now able to provide points and recognitions to their members directly from the Movio console (for example, ‘Free Ticket’ on Birthday). This was previously a manual process. Data import frequency to Movio increased from once a day to once an hour! – allowing for more time-sensitive marketing campaigns. And National Amusements now has access to the entire set of 140+ cinema-centric filters for even more precise segmentation and targeting. Vista Entertainment Solutions Ltd (Vista Cinema) is the world leader in cinema management software solutions with installations in more than 80 countries around the world and an estimated 38% global market share in the Large Cinema Circuit market. The Vista Cinema software product line comprises multiple modules, integrated and scalable, suited to cinema exhibitors operating 20+ screens and 100s of cinemas. 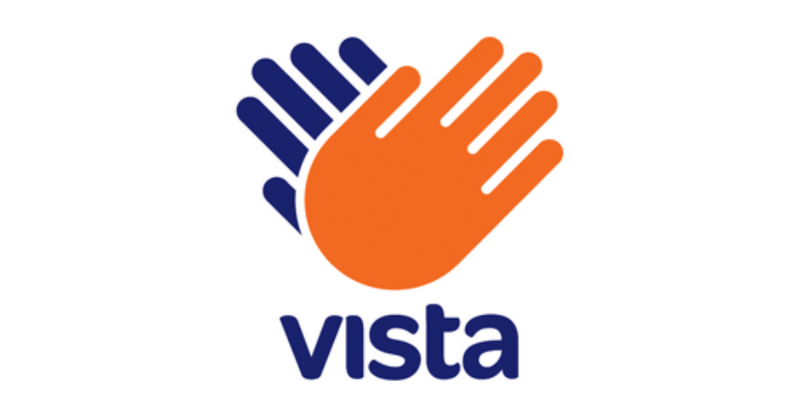 Vista Cinema is headquartered in Auckland, New Zealand, and has subsidiaries incorporated in Los Angeles, London, Shanghai, Beijing, Cape Town and Mexico City. Movio (a company of Vista Group International: NZX & ASX: VGL) is the global leader in marketing data analytics and campaign management solutions, revolutionizing the way the film industry interacts with moviegoers. With a global database of over 100 million moviegoers, 750 million behavioral and transactional records and more than 5000 movie titles, Movio is the world’s most comprehensive source of moviegoer data. The company’s investment in data science and machine learning has produced market-leading technologies that redefine the possibilities of movie marketing. Movio empowers marketers to connect moviegoers with their ideal movie via online and offline channels, and link campaign data with actual ticket purchases to close the loop and measure campaign effectiveness. National Amusements, Inc., is a world leader in the motion picture exhibition industry operating more than 946 movie screens in the U.S., U.K. and Latin America. National Amusements delivers a superior entertainment experience in theatres around the world under its Showcase, Multiplex, SuperLux and Cinema de Lux brands. Based in Norwood, Massachusetts, National Amusements is a closely held company operating under the third generation of leadership by the Redstone family. National Amusements is the parent company of both Viacom and CBS Corporation. Visit them at www.showcasecinemas.com.